Casper Wickman is part of the research group Geometry Assurance & Robust Design at the department of Product and Production Development at Chalmers University of Technology. Casper Wickman leads the active research field Perceived Quality (PQ). The active field PQ is part of Chalmers area of advance Production. PQ is a product attribute that includes several sub-attributes such as material quality, geometry quality, dynamic and static squeak and rattle, solid function, surface and pain finish but also other areas related to functional aspects like HMI, product design and ergonomics, which has an impact on how customers perceive quality. The ultimate goal for the research is to understand, control and enable evaluation of mechanisms that forms the basis to develop products with high PQ with consideration to sustainability. This includes generation of knowledge to understand how products shall be configured, designed and balanced in order to optimize customer experience. The research field is divided into three main sub-areas. Firstly, development of tools, methods and processes to evaluate and verify PQ related aspects virtually. The second part is to minimize the difference in perception between virtual and physical evaluations. This part of the research investigates the mechanisms that control the possibilities to perform virtual verification of PQ, with no discrepancy to physical verification. Finally, the active field also includes research related to customer value and requirement management related to PQ. The main focus of the research is directed towards the automotive industry. Casper Wickman also holds a position as Technical Leader within the department User Experience and Craftsmanship Center at Volvo Cars. His responsibility at Volvo Cars is almost equivalent to the definition of PQ at Chalmers. The research conducted within the research field is well grounded in the needs of the automotive industry and most of the research is implemented in cooperation with industry. 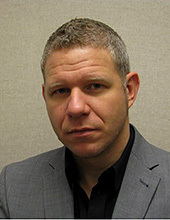 Casper Wickman is also theme leader for Perceived Quality in VINNEX phase III and IV at Winquist Laboratory and responsible for the Squeak and Rattle Compentence Arena. The research is conducted in collaboration with industry. Casper Wickman is strongly involved in the development of the attribute area Perceived Quality at both Chalmers and at Volvo Cars and he believes that combined research positions between academia and industry is a successful arrangement. Det kan finnas fler projekt där Casper Wickman medverkar, men du måste vara inloggad som anställd på Chalmers för att kunna se dem.